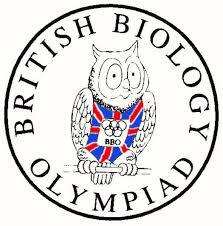 32 Year 13 A-Level biology students – year 12 at the time – entered the Intermediate Biology Olympiad competition, which is ran by the Royal Society of Biology. The competition is open to all students studying in their first year of post-16 education, and the students took the tes online, supervised by staff, under exam conditions. The test was an hour long and was a multiple choice paper. The aim of the competition is to test the students’ knowledge on biology topics they would’ve most likely covered at GCSE and during their first year of A Level; it also encourages them to continue studying the biosciences beyond school. There were around 7000 entrants, and of our KEVIGS students, 17 achieved certificates, including 2 Gold awards (Matthew Cutts and Lubna Latif) and 3 Bronze awards (Eleanor Bareham, Naomi Wilson and Olivia Tinker.) The two students who achieved the Gold Award were placed in the top 5% of the entrants, whilst the Bronze Award placed the three students in the top 20%.